I can’t believe it’s already the middle of August! Time is flying by and i’m constantly wondering where it has all gone. Today’s post isn’t my normal Tasty Tuesday. I thought i’d share some of the foods Husby and i have been chowing down on of late. Plus my brain is too fried to put together a real recipe post, which is a bit sad since the week has only begun. Ah well, what can i do? 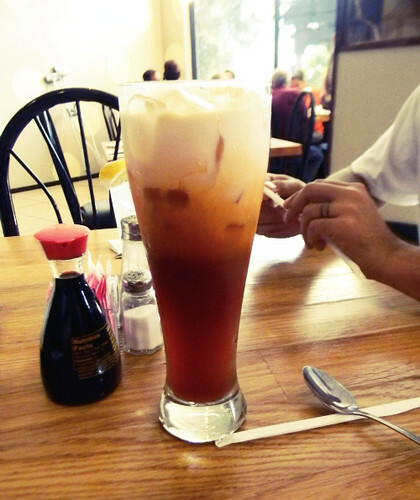 Husby and i are obsessed with Thai tea. Two of our favorite restaurants in town serve it and we both swoon over it. It’s so refreshing. I have a new goal of brewing some myself. 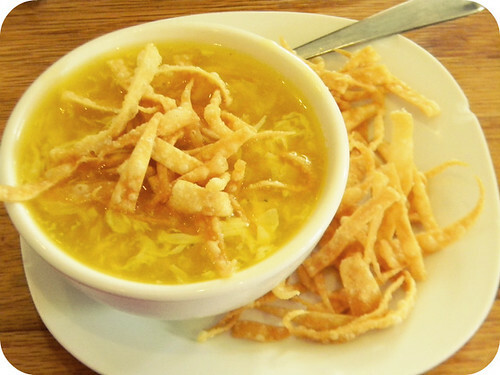 Egg drop soup. The only soup in the world that i ever crave. I’m not a soup person. Especially if its warm outside. This soup however i will eat anytime. Super simple to make at home as well, but i can’t turn down a cup when out either. 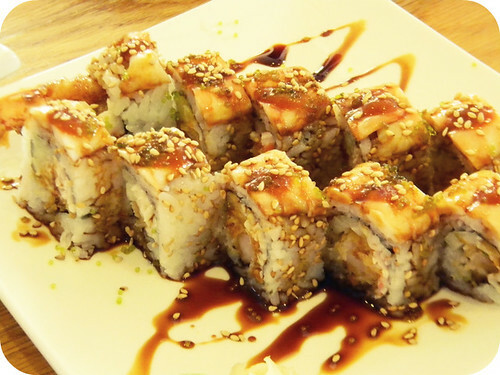 Keeping with our theme, sushi joins the table. Love it, never sick of it. 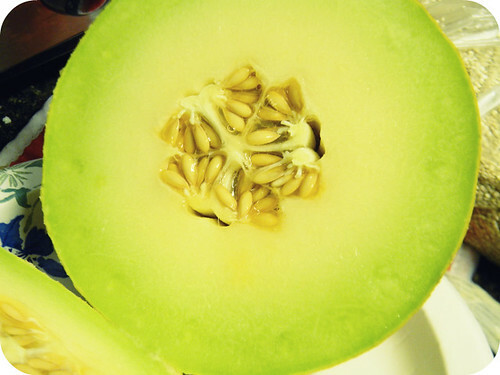 Melons. All kinds. The best summer food ever. 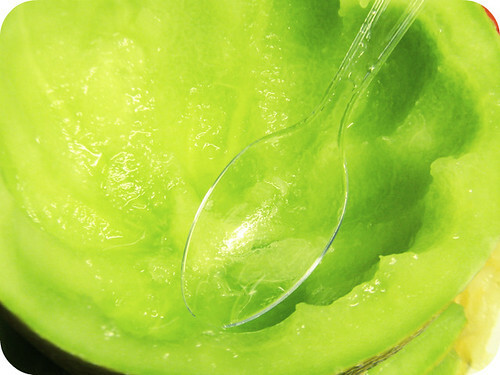 With as hot as it has been here, nothing hits the spot like cold melon. Nothing. We cut up different kinds and eat them all day long. This one made a fantastic dinner. How about you? What foods are you loving at the moment? Posted in UncategorizedTagged life, pics, tasty tuesdaysBookmark the permalink. Ohhh goodness.. everything looks amazing! 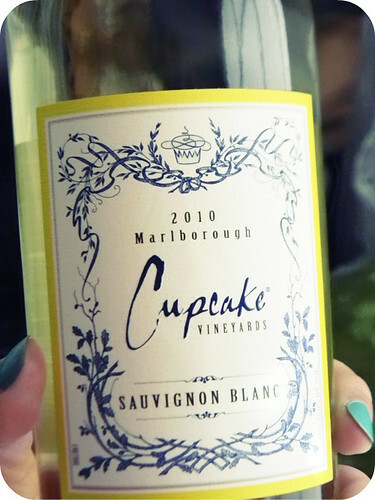 I *need* to find cupcake wine! My favorite foods & drinks at the moment are iced coffee (always), dates & almond butter, homemade pizza and kale salads.